They may not mean to but they do. Your parents do affect you, even when they’re dead and gone. I am fatherless myself now – well, it happens to most people eventually – but I became fascinated by the stories of three of my Scottish friends who lost fathers at an early age, and the extraordinary drive and ambition the absence seemed to cause. Those three boys became a millionaire banker, a newspaper editor and a TV executive. You need only look at the abandoned Barack Obama to see the pattern continue. Isn’t it interesting that this whingeing, self-pitying doggerel of a childless old drunk became the anthem of our age? It certainly did. Quiz your average Briton between the ages of 25 and 50 and these will be the only lines they know. All the real bores you meet start moaning about their parents sooner or later and quote, or misquote, pathetic old Larks. But why take him as your guide for life? For most of us – certainly for me – the lines are completely untrue. I owe almost everything to my very far from perfect mother and father, and if, as an adolescent, I found some of their ways annoying, the years brought forgiveness. The ending of Larkin’s poem – “Get out as quickly as you can / and don’t have any kids yourself” – is the clue to its vacuous absurdity. It is when you have children of your own that you begin to understand your parents. So for me, as for most people, the lyric would be truer if it were rewritten as: “They tuck you up, your mum and dad”. Mine did, and read me bedtime stories, and now they are gone, I miss them. What do you reckon? 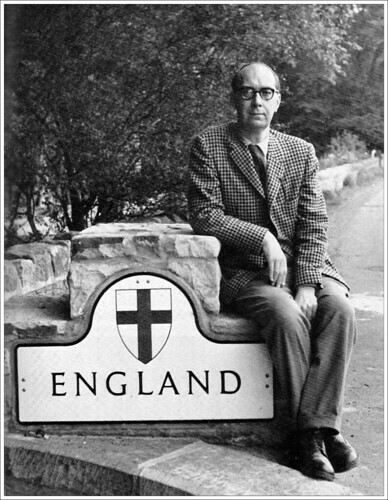 I think Larkin’s poem is kind of lovely – beautiful in the first two lines of the last stanza, but not elsewhere – although teenage in its lashing-out, which is reflected in the rollicking nursery-rhyme-like rhythm (except in those two lines). It’s only one side of the coin though, and that is perhaps down to his unhappy childhood, which some of the other writers talk about in the article. Perhaps the poem’s endurance in readers’ memories is due to the fact that anyone can superimpose themselves and their parents and their kids onto it and find some measure of truth in “they may not mean to but they do,” while still remembering that those things are outweighed, hopefully always, by unconditional love. Very truthful poem. If you only see the negative of it it might irritate you but when you actually don’t leave space for emotion, it makes sense. the poem is only saying that we are our parents kids and we will inherit the bad things they didn’t improve themselves but the good things too. Every parent once dead is seen as an angel in our hearts. Forgiveness is great. My parents f-ed me up and I have to admit it but I also learned from their F ups. BE POSITIVE people. You should read Antipoetry by Nicanor Parra btw.